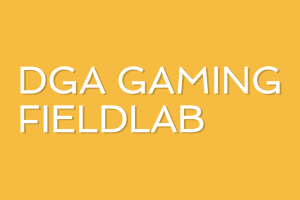 DGA Gaming Fieldlab is looking for proposals! Dutch Games Association recently launched its Gaming Fieldlab to amplify national public-private partnerships in game research. Apart from networking, matchmaking and knowledge sharing between researchers and game professionals, the DGA Gaming Fieldlab provides funds for joint research projects. To this end, it issues a call for research proposals particularly addressing advanced game technologies and associated methodologies that aim to bring game design and development to the next level. For more information about submitting your proposal and its topics, criteria and timeline, visit DGA Gaming Fieldlab website. Read more about the call for proposals! The DGA Gaming Fieldlab is realised by a PPS (Public-Private-Partnership) grant of CLICKNL, the Top Consortium of the Dutch Creative Industries Sector.